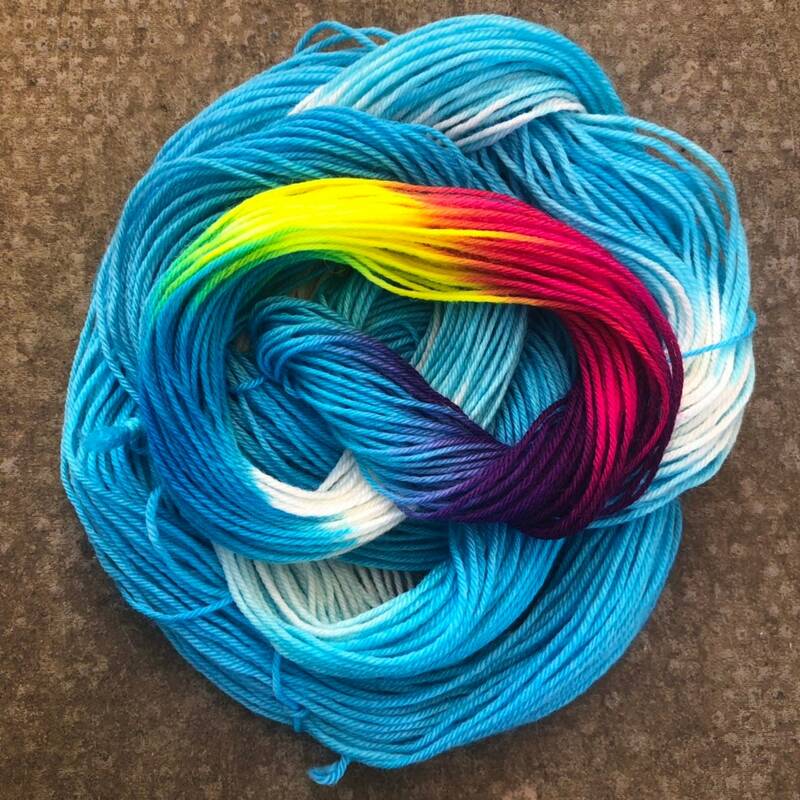 A rare repeat of my Summer Skies Rainbow colourway that ran from 2012-2017. It is superwash treated 4ply sock yarn with 75% merino wool for softness and warmth and 25% nylon for enhanced durability. It is suitable for approximately 2-3mm needles. About 84 metres per 20g mini skein.